This book was very intense. The performance by Joe Arden was probably one of the best performances I have heard in this genre. There is one particular part of the book that is extreamly intense and Joe acted it out amazingly. He brought the character to life. I love how the two narrators talk together. Please note that this book is very deep and if you struggle with PTSD it will most likely be a very hard book to listen to. It is very well done though. Thank you Maxine Mitchell for a real book that isn't a normal fairy tale with a fued in the middle and then the main characters live happily ever after. Don't get me wrong I love those books as well. But there needs to be books that are "real" as well to bring you back to real life and make you reflect on what you do and don't have. This story was riveting. 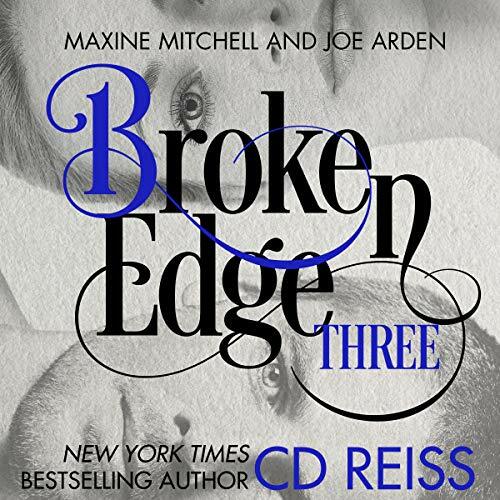 CD Reiss is an amazing storyteller. She is always worth the cost of download! This was the best narration from Joe i'vre heard. Brought tears to my eyes. The writing, the performances & the stakes... WOW! I will start by saying how glad I was to wait for his book to release in audio. I could have chosen just to read the book but I know there is nothing like C.D. Reiss stories on audio!! This being said I will be up front and confirm that this book is a very crazy and unexpected ride. Just when you think you know where she is taking you as a listener you are completely taken in for a loop. I have learned to expect the unexpected with C.D. 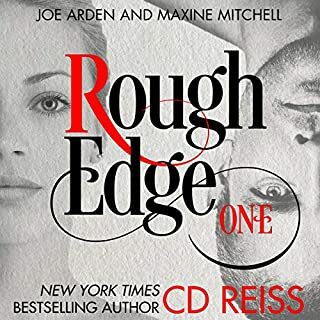 Reiss and this series, and in particular this book, is a true testament to her genius and her art. Caden and Grayson as characters are so well written and believable, and the storyline is so intense and gripping that when you are in-deep in the narration you forget that there are performers reading the words. Joe Arden, in my opinion, performs one of his best dramatic moments in this audio and OMG I was left breathless and utterly entranced. Maxine Mitchell out does herself with this performance! There are so many layers to Grayson (wife, friend, sister, daughter, doctor, woman, etc.) and she is able to play with nuances and emotion flawlessly. I am nervous as to what book 4 has in store, but you can bet that I'll be on the lookout for the conclusion to this series in audio. BRAVO!!!! Ok I keep thinking that it could not be worse, but the story did not end. You keep giving us more. And I don’t think my little heart will be able to take it. Wow. This is such a powerful and original story. Absolutely love it. The narrators do an excellent job bringing the story to life duet style! All the stars!! Not only a very good story but an amazing performance as well by the narrators. I really can not say enough about how thrilling this story is! Each book in this series just gets bettrr and better. The narration is perfect and the story is so gripping. I'm starting book 4 right meow! Absolutely love this Audiobook. Definitely need to listen to this series. The story is absolutely amazing.